In this reprint from The Ergonomics Report, the late Hal Hendrick is interviewed by journalist Jennifer Anderson regarding a forthcoming book he had co-authored, "Human Factors Issues in Handgun Safety and Forensics." As the gun violence debate erupts in the USA following the senseless and tragic deaths of 20 innocent children and 6 adults at the Sandy Hook Elementary school, we reflect on the role that Ergonomics and Human Factors can -- and should -- play in the prevention of unnecessary gun related deaths, injuries, as well as any regulations that may follow. This article is reprinted with permission, with minor modifications, from The Ergonomics Report™, where it originally appeared on August 20, 2008. Cars and guns deal death in America every hour of every day. While rules aimed at cutting road deaths are an accepted part of daily life, rules to cut firearm fatalities are shot down in the corridors of power. A new reference and training manual, which addresses gun safety issues in terms of human factors and ergonomics, delivers a tool for improving the statistics – and for starting a new and less hostile debate about preventive measures. "Human Factors Issues in Handgun Safety and Forensics" was published recently by CRC Press. It was written for professionals in the justice system and forensics community, for handgun owners and trainers, and for organizations and individuals on all sides of the gun control debate. 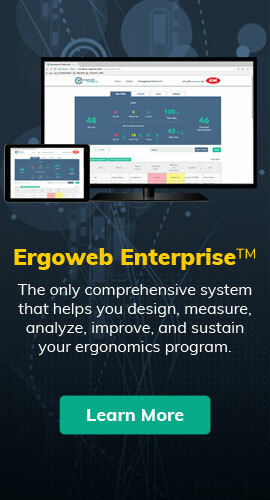 In August the Ergonomics Report® followed up on a 2007 pre-publication interview with one of the three authors, Hal W. Hendrick, Ph.D., CPE, DABFE, Emeritus Professor of Human Factors and Ergonomics, University of Southern California, and principal of Hendrick and Associates. Dr. Hendrick painted a picture of the difficulties inherent in improving gun safety, as well as potential ways of accomplishing the improvements. The conversation also looked at the book’s prospects for changing what can only be described as a hostile climate to any form of gun-related regulation. His co-authors are: Paul Paradis, criminalist and firearms expert for the State of Colorado Public Defenders Office; and Richard J. Hornick, Ph.D., CPE, DABFE, president of Hornick and Associates. It is early days for assessing the impact of the manual. "There has not been a lot of reaction to the book outside of the human factors community itself," Dr. Hendrick told the Ergonomics Report®. Inside the community, it has been very well received and praised, he said. "It’s been a little bit too early to know if it’s going to have any significant influence on such things as gun control laws or laws particularly relating to requirements for training, which was one of our major goals." The training is so minimal, he said, adding that some states require training for concealed-weapons permit holders. "I think it is just too early to see whether it is going to influence the legislation process, because that is a much slower thing." Inadvertent or unintentional shootings account for a significant proportion of gun deaths in the country. The research suggests there are probably three of these unintentional killings a day, Dr. Hendrick observed in the 2007 interview, and that’s a very conservative estimate. "Undoubtedly there are many more cases where people get injured and still many more cases where guns are fired inadvertently and just luckily don’t hit anybody. So the problem is bigger than you might think it is just by looking at the statistics out there." The authors met over a decade ago through their individual professional involvement with this class of accident. They realized there was no knowledge base available to lawyers, jurors, people who conduct gun-training programs or human factors professionals. For one thing, there was a need for expertise that would help the forensics and legal communities and jurors differentiate accidental shootings from murder cases. The authors also recognized an opportunity to prevent these accidental shootings through improved gun design and training. In the most recent interview, Dr. Hendrick explained that the unintentional shootings issue is going to be the one where the book "is likely to have the most direct influence initially." The book also covers the nature of handguns, and stresses that the lack of standardization on the ways safety devices work from gun to gun is a major issue. That’s why you have so many ‘I didn’t know the gun was loaded’ kinds of unintentional shootings, Dr. Hendrick noted in the 2007 interview. Returning to the standardization issue recently, he said he hopes he and his co-authors can influence the handgun community to involve ergonomists in the design of the next generation of handguns, which are likely to be electronic. "We hope it will have some influence on them in terms of the issue of standardizing the critical safety components of guns, so that as people shift from one gun to another they don’t assume it’s the same as the other gun." He pointed out that mistakes of this kind accounts for some inadvertent shootings. "What we would like to see is for the gun makers to get together and establish some standards with respect to the design of safetys on the next generation of handguns – with input, of course, from ergonomics professionals." Standardization doesn’t exist in the gun industry, Dr. Hendrick said last year, and efforts to standardize handguns and ammunition run into the anti-gun control wall. "We would love to see some pressure – or some voluntary effort on the part of the manufacturers." When asked this August about the possibilities of government pressure or the manufacturers’ voluntary efforts, Dr. Hendrick wasn’t optimistic. He explained that the big problem is the handgun operators believe proprietary design is what gives them the edge. "And you run into that in other design areas too. So I think it’s going to be difficult to get them to actually collaborate." But he expressed "faint hopes" it could happen, and that the book will be an influence. He sees it as a "great area for developing an ANSI [American National Standards Institute] standard to cover the safety components of handguns." ANSI don’t come into being without significant help. Asked about the process, Dr. Hendrick replied that it is usually initiated by a professional organization. They have the technical expertise to develop the standard, he explained. "Then it goes out for a review process to all of the interested parties, who have an opportunity to comment and make suggestions for changes." Looking ahead, Dr. Hendrick and his co-authors see potential in improving gun safety by focusing on training, because of its proven value. "Paul [Paradis] has run literally hundreds of very sound handgun safety training programs here in Colorado," he explained, "[and] to his knowledge, we have not had a single major incident of a person being shot by somebody that has been trained properly." The authors hope to see laws at state or federal level for requiring sound handgun training before someone is issued a concealed-carry permit. "Of course, in the long run, we would like to see the situation where anyone who was going to be purchasing a handgun would have to first qualify in some kind of a handgun program. We realize that’s not likely to happen in the near-term future, but if we could get legislation, at least with respect to concealed carry, we would be very pleased." Asked why licensing is acceptable for drivers and cars and an anathema when related to guns, he identified fear as part of the reason. "The NRA [National Rifle Association], which is a very powerful lobby, has taken a negative reaction to any form of legal control over handguns. [It’s] almost on a Pandora’s box fear that if they give on something, even if it is reasonable, it will be followed up by the people who are against guns pushing for more legislation that would restrict people’s being able to buy [guns]. I think it is really a kind of paranoia reaction." People the authors have talked to "have that fear with respect to handguns," he said, but noted they run into NRA members who "very strongly support legislation for handguns training – at least as far as people who are going to have concealed carry." He said the authors are finding "more favorable response on the issue of having the government become more involved in providing support for establishing handgun training programs – much as we do for other things, such as driving." He sees different arms of the NRA reacting differently to the book. The interesting thing about the NRA, he said, is that you have members "who seem almost paranoid about any kind of legislation related to gun control, including training, who will tend to take a knee jerk reaction to almost anything, … to the people who are involved in the NRA in education." Dr. Hendrick and co-authors anticipate the NRA educators "will receive the book very positively because they recognize the importance of education." The authors have asked the publisher to send a copy of the book to the NRA for review, and anticipate a delay before the organization comments on it. "I think it is just a question that it takes time for the sales to get sufficient and the circulation and the word about the book to get out to them to react to it," he explained. The White House changes hands in January 2009, and the authors' strategy for boosting the influence of the book includes sending copies to key people in the new government. One strategy to improve gun safety, he said, would be urging the provision of facilities to practice with firearms. There’s a limited number of gun ranges, he explained, and few places where people have good access to them. A related strategy would be establishing a professional association of handgun trainers, he said, "as we do in other professions." Such an association, which does not exist at present, "would be extremely helpful, both in terms of keeping [trainers] up to date on the latest knowledge and research in the area, but also in setting standards for training." He added that the NRA has some influence on that, but the requirements to be a professional trainer and the quality of the programs are reported to be very inconsistent. "Some people get into training just simply for the financial part of it, as a source of income, that aren’t really enthusiastic about what they do." Co-author Paul Paradis stresses that if the trainers had a professional association and some kind of certification program run by the professional association, Dr. Hendrick explained, it would improve the overall quality of the handgun training as well as general proficiency with handgun use. Establishing a professional association of trainers could be an uphill battle because there is no appropriate infrastructure to start one, he noted. "If the NRA were to see this as a positive thing, they have the structure to be able to be able to provide the impetus for a certification program." Professional associations within law enforcement, though limited, might also be appropriate. Other than those and grass roots efforts from trainers, he said, it is difficult to say where the impetus would come from. "Finding someone that can actually devote the time to it is the big question."